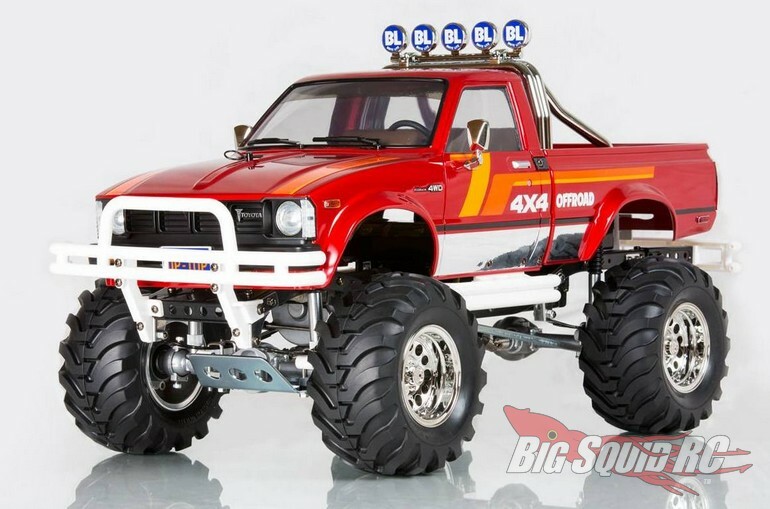 Tamiya Toyota Mountain Rider 4×4 Pick-Up Re-Release « Big Squid RC – RC Car and Truck News, Reviews, Videos, and More! First announced back in 1992, Tamiya has announced the re-release of the Mountain Rider. That’s right, soon you will be able to buy a new Mountain Rider Toyota 4×4 Pick-Up from your local Tamiya dealer. With heavy duty metal parts galore and a classic Toyota look, the Mountain Rider is a higher-end off-road kit for the demanding hobbyist. The part number for the latest version of the Mountain Rider is #47394 and you can hit up This Link to visit the official Tamiya website. Catch up on more Tamiya News right here on BigSquidRC.